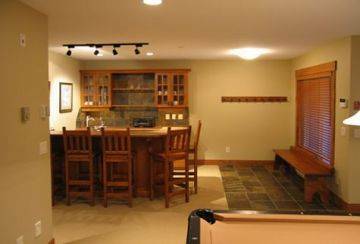 This unit is spacious, roomy and beautifully finished. 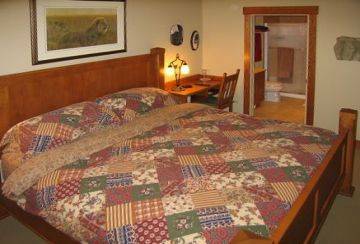 The views from the property are of the Monashee Mountains and enjoy the morning sun. 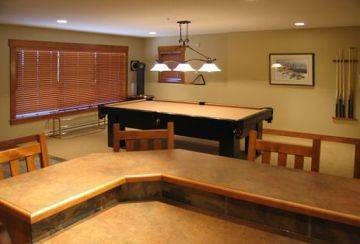 This is another property that is excellent for large families or corporate retreats. 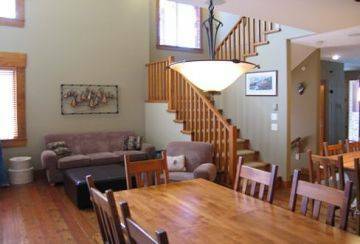 On the Entry level you will find a large living room with wood floor, fireplace and vaulted two-storey ceilings. 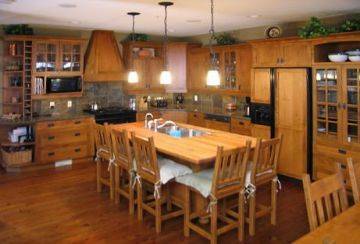 The dining table can seat up to 8 people. 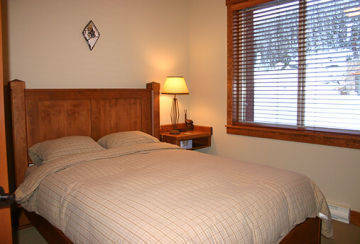 The kitchen is fully equipped with dishwasher, microwave, stove and a large selection of cooking utensils and cookware. 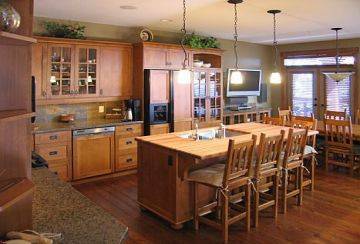 The Kitchen also has a spacious island feature with 5 bar stools. 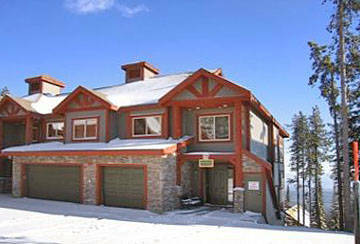 A large balcony adjacent to dining area has a gas BBQ and great views of ski trail and the valley. 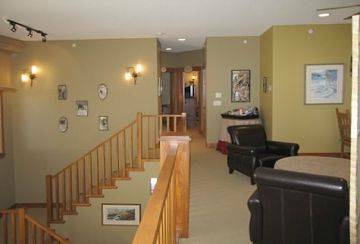 The floor above the entry level is where you will find the master bedroom with king size bed, window seat, 20 flat screen TV with cable and an en suite bathroom with shower. 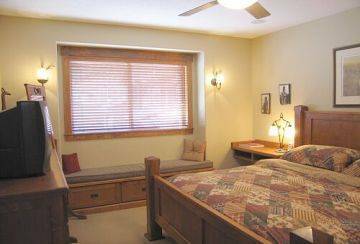 The Guest bedroom has a queen sized bed and adjacent bathroom. 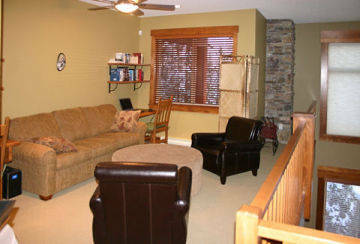 In the spacious loft living room area there is a queen sofa bed and desk. 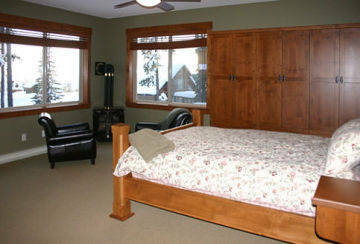 On the lower level there is a bedroom with queen bed and a gas fireplace. 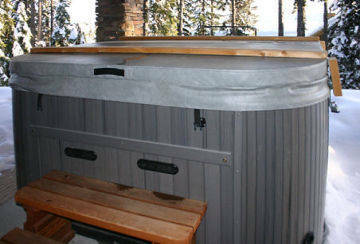 The en suite has a full size bathroom with tub and a laundry room with washing machine and dryer. 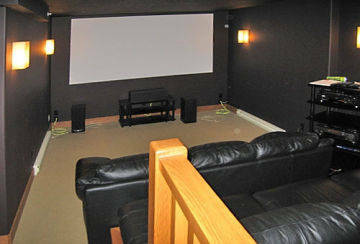 The Media room with 120 projection screen, surround sound, and stadium seating for 9 with Double Sofa bed, is also located on the lower floor. 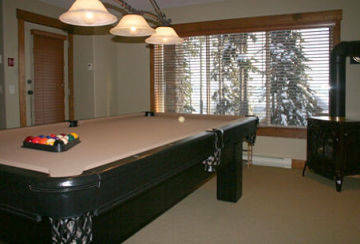 The Large balcony adjacent to ski trail with 6-person hot tub is located on the bottom floor of the property and has heated slate floor at entry with hooks and bench there is also a sauna, pool table, entertainment area with wet bar, mini-fridge, microwave and 5 bar stools, and a large full bathroom on this floor.